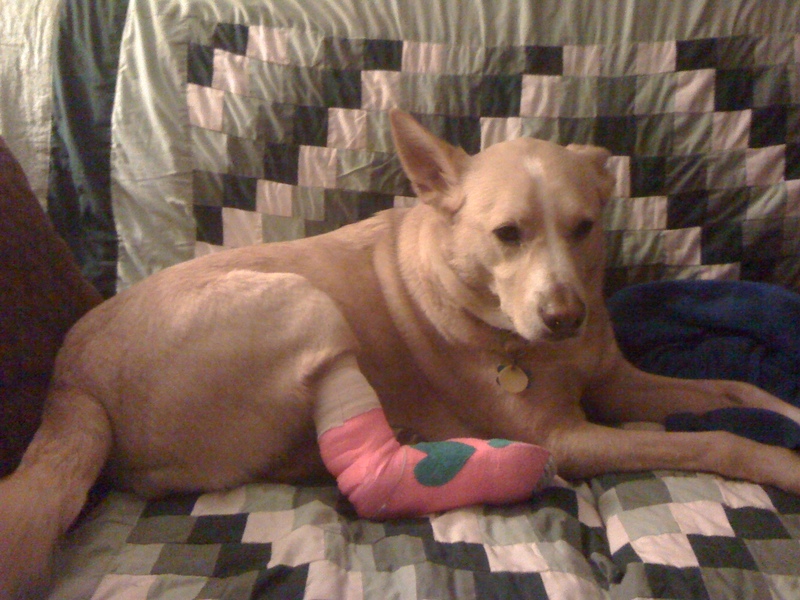 If we are friends on Facebook, then by now you know that my dog Arri has been limping around for the past few days. I let her out to run around in the backyard on Friday afternoon – five minutes later she was trying to get back inside by leaning her entire body in earnest against the back door (it wasn’t working, the glass panel is just too sturdy). She came hobbling in, looking as pitiful as Ralphie when he almost shot his eye out in A Christmas Story. 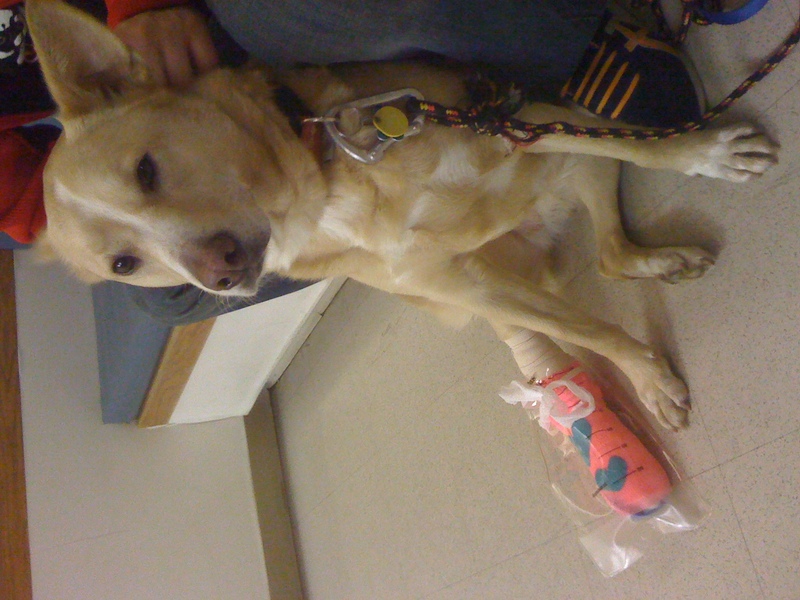 I thought she might have twisted or sprained her foot chasing after squirrels, and I didn’t want to overreact and take her to the emergency vet. 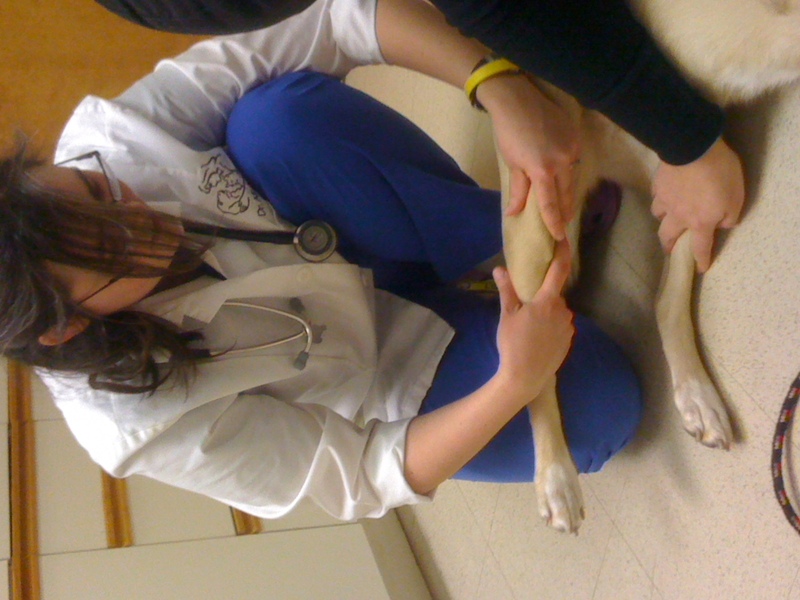 The pain seemed to be localized to just one of her weight-bearing toes (is that what they’re called for dogs? Toes? Or is it pawlets?). So I carried her to the couch and make her stay there for as much of the weekend as possible (refer to picture on my previous post). Dr. Pittman at the Fountain City Animal Hospital did a thorough checkup on Arri – definitely a bump on the toe, but not sure how bad. X-ray is a go. 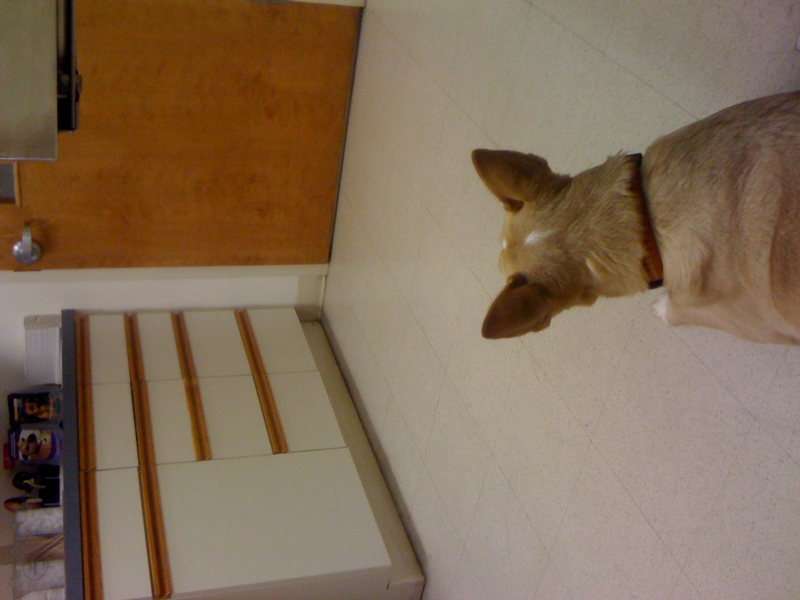 Arri waited nervously for the results. Would it be back to chasing squirrels? Or 4 weeks of couch rest? The results came back: Bad news? 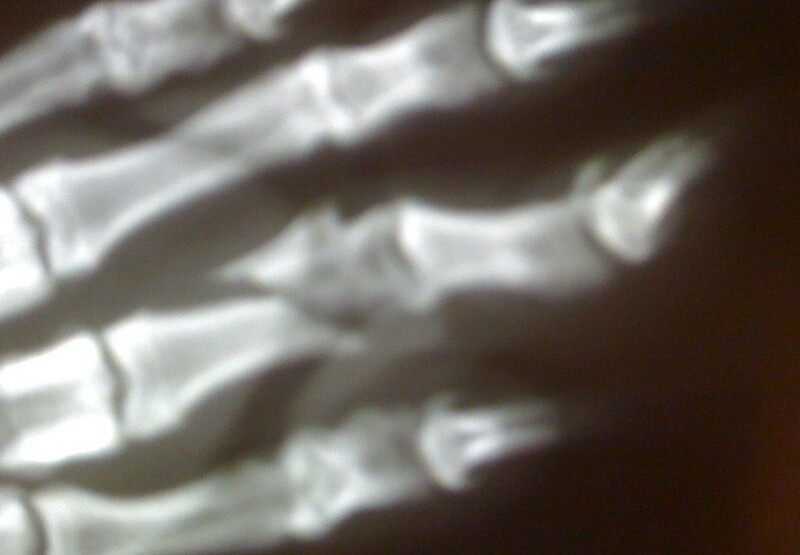 Definitely a broken bone. Good news? It’s a clean break, so it should heal nicely. Because Arri hadn’t eaten since this morning, Dr. Pittman was able to reset Arri’s toe that night. 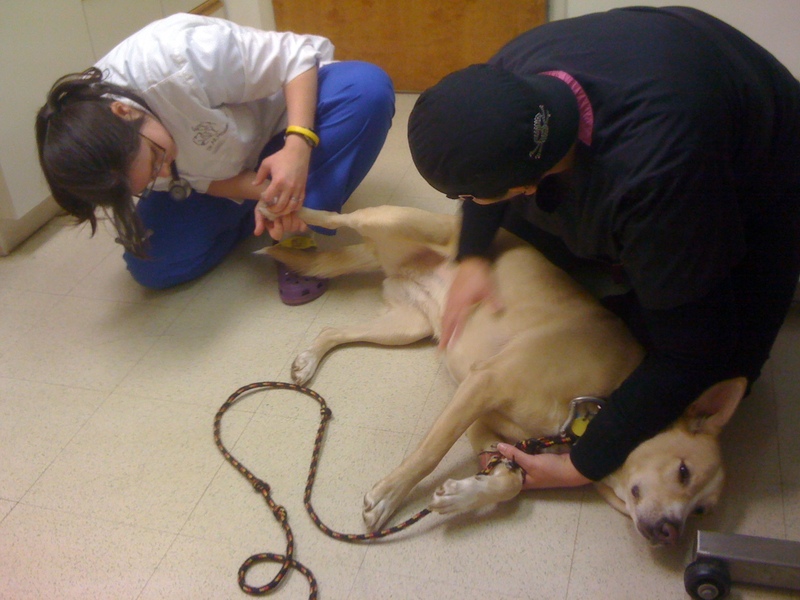 A little doggie anesthesia, some straightening and Arri was good to go! My favorite part? 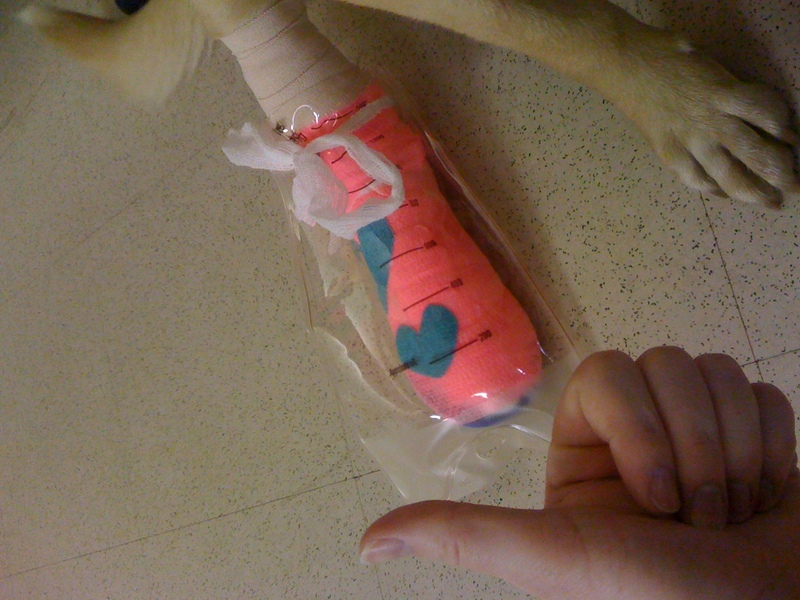 Arri’s awesome hot pink splint with accenting blue hearts! She was a very happy camper when she came out to meet us. And she’s given up hopping in exchange for a promising career in tap dancing – just one foot of course. 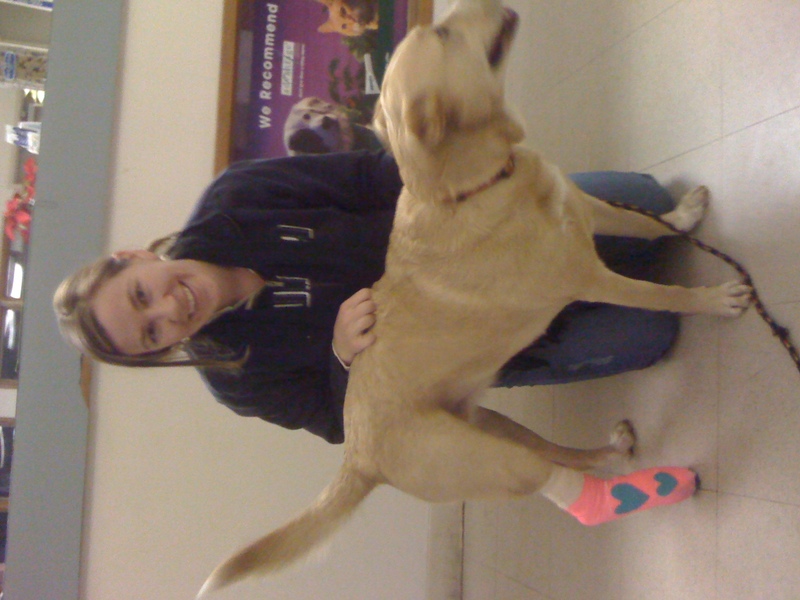 A happy reunion: A hot pink splint with blue hearts! We even got a smart little IV bag with a draw string – whenever she needs to go outside, the splint gets covered to prevent moisture damage. We will go back to the vet next week for a splint check and possible redressing, then a second X-Ray in a month. 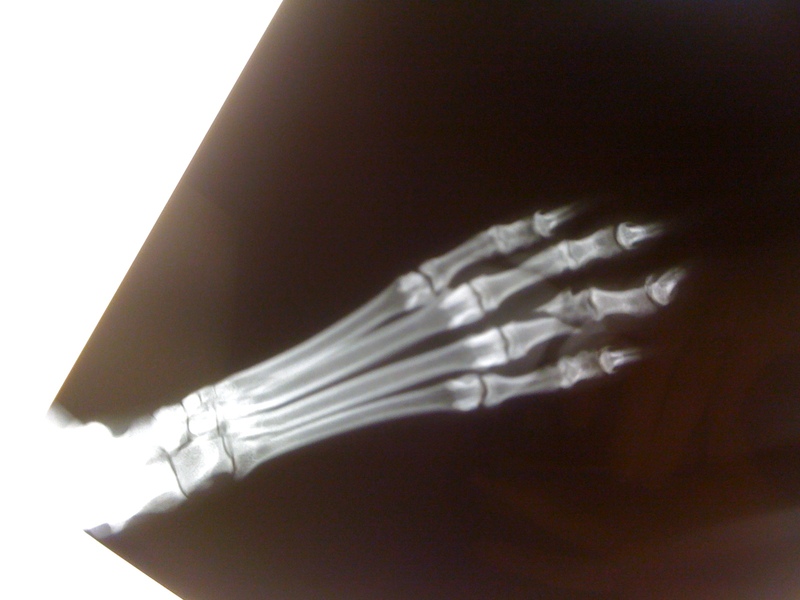 By then, the vet is hopeful that Arri’s bone will have calcified and be well down the road to recovery.